The 52 pieces kit includes high quality cards, that are easy to bend and durable. It is especially for Halloween and is suitable for everyone! 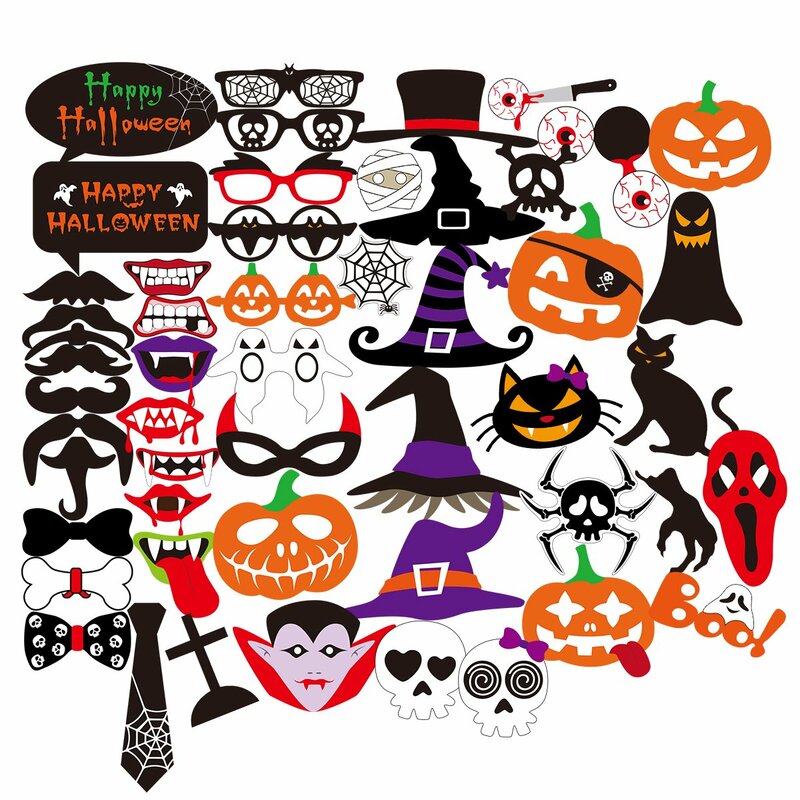 It comes with a variety of cool props for Halloween such as mustaches, special designed lips, hats, eyeglasses, ghosts and so on, making your events and parties more interesting, creative and unique. The product is easy to assemble and use! Simply select the props you will be using, and then glue or tape them to the wooden sticks (included in the pack). Just spend a few bucks and get your party kicking! The kit includes props for almost all your guests to enjoy with. It comes with a one year guarantee! For any reason if you are unsatisfied with the props, we will refund you 100% of the paid money.